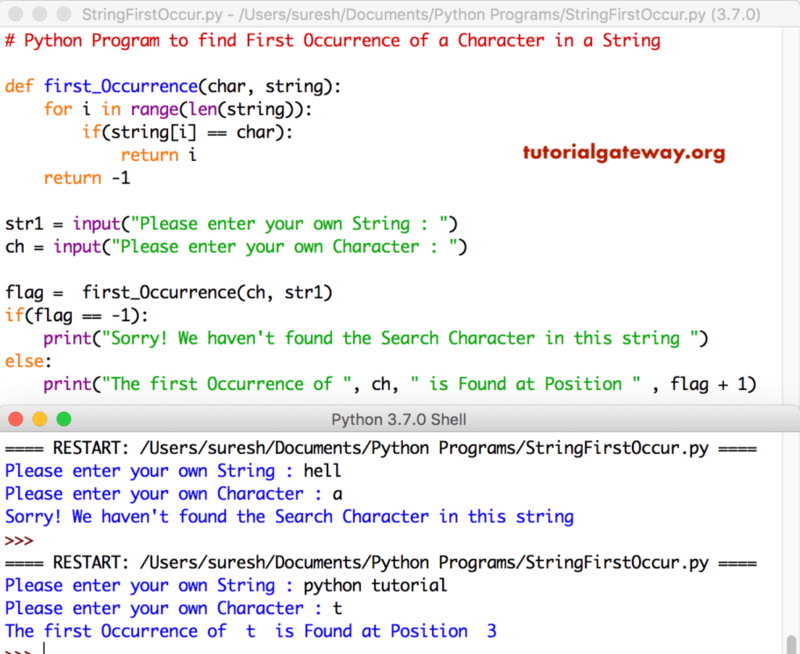 In this article, we will show you, How to write a Python program to find first occurrence of a character in a string with practical example. Here, we used For Loop to iterate each and every character in a String. Inside the For Loop, we used If statement to check whether any character in str1 string is equal to character ch or not. If true, then flag = 1, and Break statement will be executed. Next, we used the If Else Statement to check whether the flag value is equal to 0. Here, the condition is False so, print inside the else block will be executed. This first occurrence of a character program is same as above. However, we just replaced the For Loop with While Loop.